Conveniently located in the Mount Pleasant neighborhood of Charleston, and only a bridge away from historic downtown, our newly opened boutique hotel offers modern conveniences in an inspiring atmosphere. We are a unique boutique hotel backed by the consistency of one of the largest hotel chains in the world, IHG®. 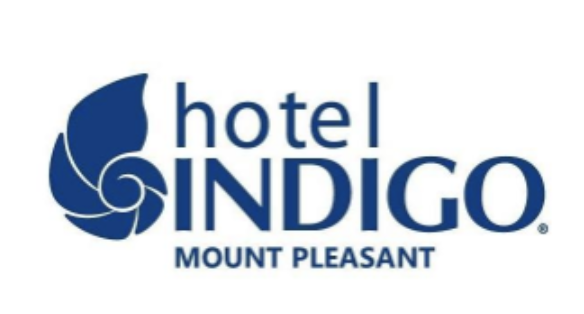 Hotel Indigo Mount Pleasant is a place that inspires exploration with ties to our surrounding neighborhood. With brand new amenities including a resort-style pool area, updated fitness facility with private yoga rooms and upscale guest rooms. Our hotel is defined by local experiences, culinary feats and irreproachable service. The newest restaurant to the Mount Pleasant and Charleston dining scene can be found at our hotel, eliza's bar + kitchen. Our emboldened culinary creations at eliza's bar + kitchen keeps with the renown culinary scene in the Charleston area. We are an affordable alternative to a downtown Charleston hotel. Our convenient location, full-service offerings and boutique hotel experience is unforgettable. Encompassing a boutique charm, our bedrooms feature comfortable beds, functional working spaces and colorful artwork with a royal ambiance. With oversized rugs and hardwood floors, our rooms make it easy to work and play. Ripe for the picking is our bountiful breakfast table’s artfully arranged for a good morning. Dining at Hotel Indigo are all about having a great time, every time. Relish in our many breakfast options 7 days week, along with lunch and dinner. Relax in the South Carolina sun to the sounds of the cascading waterfall and refresh by taking a dip in our elegant pool or a personally delivered cocktail-or both. Stand out and flourish in our creative work and event spaces. We’re not a typical meetings hotel. Our flexible gathering and event spaces infuse local color and character with functional elements and personalized service that promotes creativity and collaboration. We are centrally located in Mount Pleasant, South Carolina. 250 Johnnie Dodds Blvd. Mount Pleasant, 29464 The Hotel Indigo Mount Pleasant offers quality amenities and a great location situated next to the Arthur Ravenel Jr. Bridge, the “Gateway to Historic Downtown Charleston.” Cross one of the longest cable-stayed bridges and enjoy the extraordinary panoramic view of the Holy City skyline. In just four miles, you will experience the famed Charleston historic sites including The Market, King Street, The Battery, Charleston's renowned restaurants, boutique shops and all of the charm that makes our city so alluring. Our easy access to US Highway 17, I-526 and I-26 makes for a quick drive to enchanting beaches, award winning golf resorts, Patriots Point Naval & Maritime Museum, plantations and gardens, Tanger Outlet Stores, and other area attractions.